According to a new study from the American Lung Association, Utah spends $7 million on smoking-cessation programs. That is barely 30 percent of the amount recommended by the U.S. Centers for Disease Control and Prevention for such programs, and less than 20 percent of the $43 million that the tobacco-tax increase passed during the 2010 legislative session was supposedly going to bring to the state. Yes, at the time the tax was passed, it was baldly used as a last-minute way to balance the state’s budget. But, there were promises made by Republican leaders to use some of the revenue to help smokers quit, promises that are now proving to be insincere. To encourage small, urban farms, Sen. Wayne Niederhauser, R-Sandy, is planning legislation that will extend agricultural tax breaks to all farms in Salt Lake County that are two acres or larger. Currently, only farms of more than five acres qualify for the breaks. Niederhauser says that he would like to encourage more small farms and protect those currently operating, both as a way to increase local food production and to preserve green space. If passed, Salt Lake County officials estimate that slightly more than a 100 existing farms, covering more than 600 acres, could apply for the “greenbelt” tax break. Apparently, Salt Lake City officials believe that a premium price is justified for a small, outdoor rink with an ambiance that includes construction noise and heavy equipment. In what is being advertised as a “construction special,” skating at the Gallivan Center will cost $5 for everyone, regardless of age. While $5 for a single person is not exorbitant, the price becomes burdensome for families—especially those with young children, who may only tolerate an hour or less of skating. Instead, why not charge a sliding scale for kids, just as other area ice rinks do? For example, skating for kids under 5 at the Salt Lake City Sports Complex by the U of U is only 50 cents. 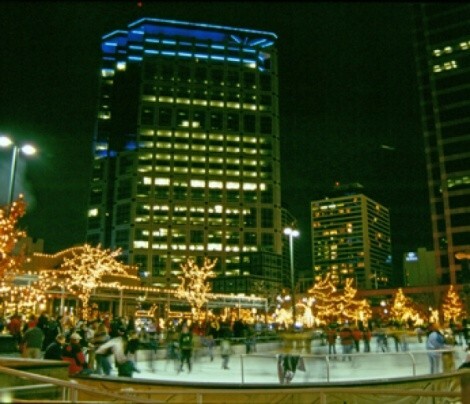 Skating at Gallivan is an enjoyable—and, yes, festive—experience, but at the current prices, and in a downtown that is still struggling, it feels too much like a luxury. Maybe when the City Creek project is completed and downtown is (hopefully) thriving again, paying $20 for a family of four to skate will feel appropriate. But right now, it’s not.